A great soup is one of the best remedies for a chilly day. Whether it’s a cook-all-day recipe or a quick one, a good soup will fill you up and keep you nice and warm. So, to help you stay nice and cozy this winter, we’ve put together ten of our favourite soup recipes. They’re sure to keep you warm and toasty and they’re pretty delicious too! We love our pea soup here in Quebec though ours tends to be made with yellow peas. Still, a good pea soup is both fresh and hearty. This version has a few tweaks that might surprise you. Have you ever cooked with…lettuce? Roasting vegetables brings out their sweetness, but it can also bring out more complexity in their flavours. Roasting your vegetables and even your proteins before turning them into soups is a great way to develop rich flavours and this soup is the perfect place to start! A lot of people seem to think that Winter means the end of seasonal produce, but it’s right in the name with this soup! It’s made with hearty root vegetables — and we’re not just talking about potatoes. 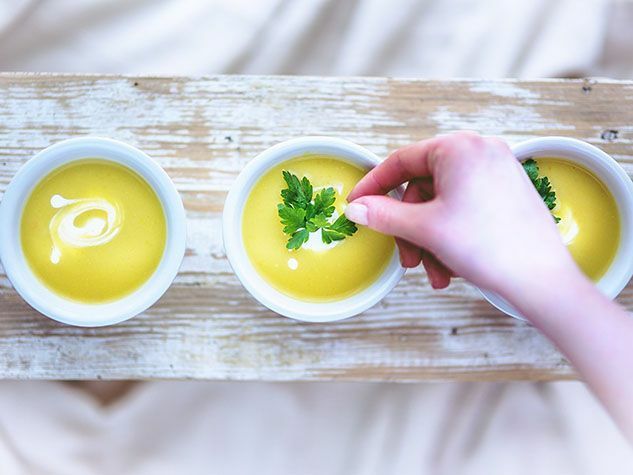 Turnips and parsnips lend this soup a distinct flavour that you’ll fall in love with. « Sweeteners and Weight Loss: A winning Combination?